We're still getting snow, so today was definitely a cold one. I had to go to Walmart to pick up a few things, so I made sure to bundle up! 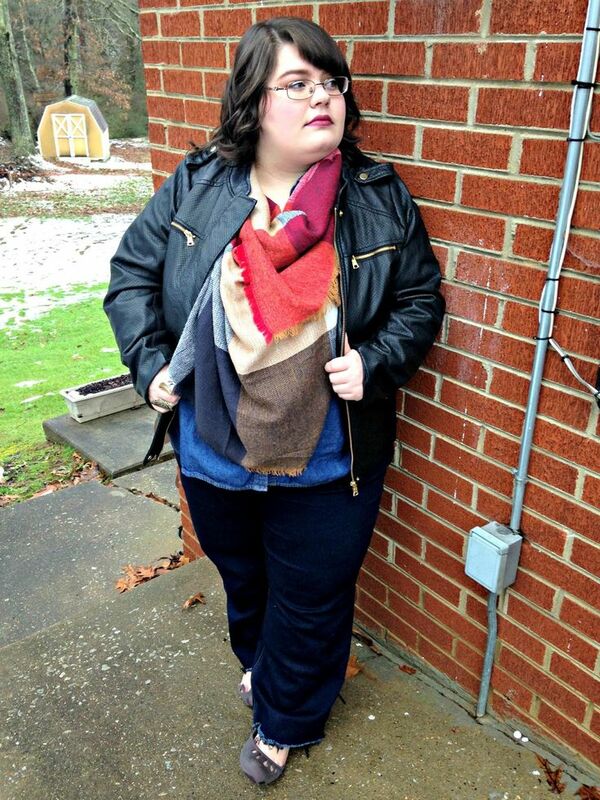 Scarves are your best friend on cold, frigid days like today. 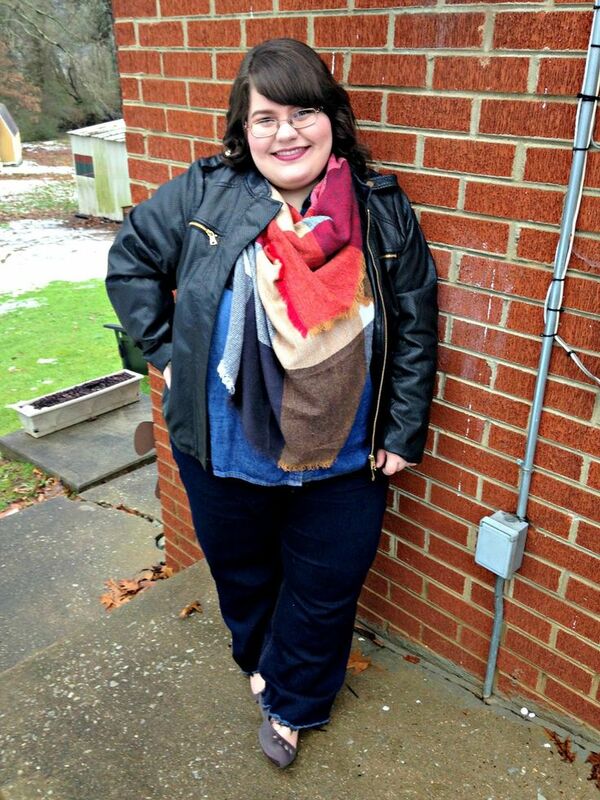 Speaking of scarves, I'm pretty in love with this one. It's a blanket scarf and I bought it at Walmart a couple of weeks ago. 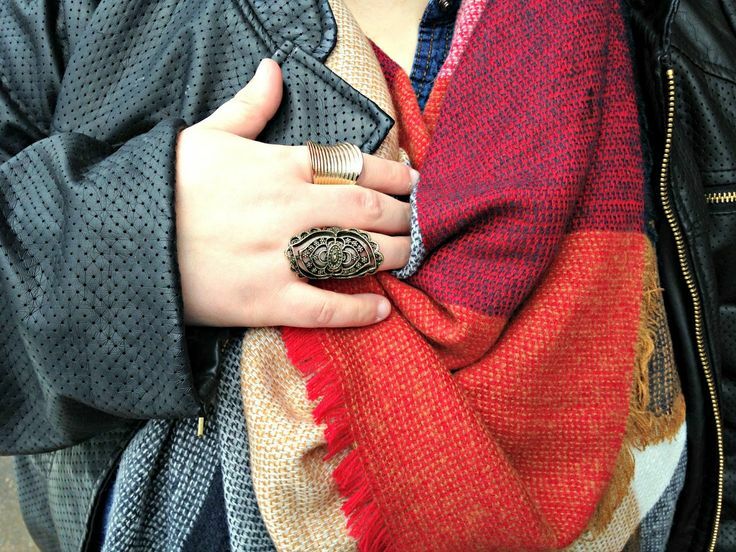 I am obsessed with blanket scarves. I look at them on Pinterest and Facebook all the time practically drooling on my laptop. There's just something about them that I love. This one keeps me toasty warm. 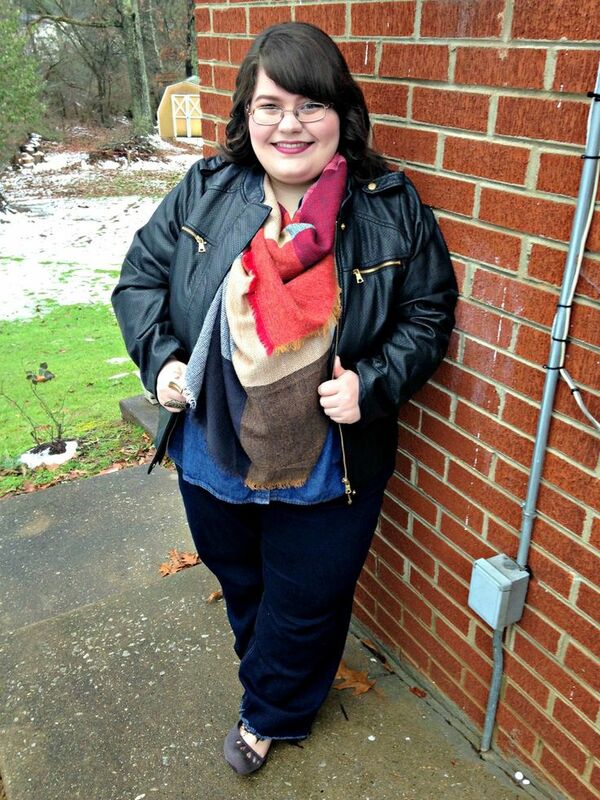 I kept my whole look pretty simple with a button up, jeans, big scarf, and a leather jacket. I didn't really do anything too fancy. I did spend a little extra time on my makeup. ;) I've always loved makeup and enjoyed learning everything I could about it. 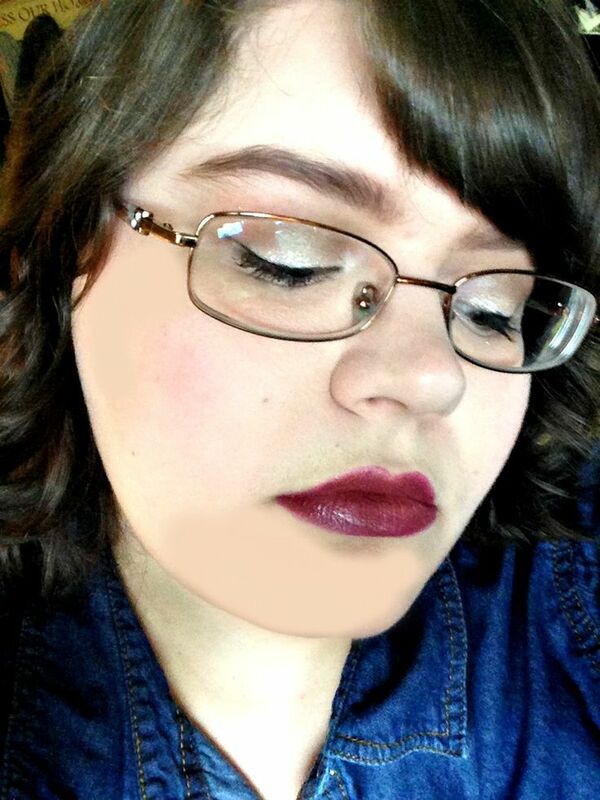 I love lipsticks, so I had to wear my newest one that I purchased at Walmart as well. No, I'm not sponsored. I wish I was! I buy a lot of things from there. I go there at least once every week for just about everything. Anyways...I got off on a rabbit trail there. I love this lipstick by Rimmel. You can click HERE to check out the shade that I'm wearing as well as the reviews about it. In the picture online I am obsessed! It stays on forever and is actually, to my surprise, kiss proof! It's insane. I highly, highly recommend it! Are you into makeup as much as I am?